Is Your Church Allergic to Change? As a graduate of both the Yale School of Music and Yale Divinity School, I have been following this story for several years. Students have been protesting that Yale should not glorify John C. Calhoun by continuing to name a residential college after him. Calhoun received a B.A. degree from Yale in 1804 and a LL.D. degree in 1822. During Calhoun’s political career, he served as vice-president, secretary of state, secretary of war, and a U.S. senator from South Carolina. Calhoun is most remembered, however, as a fierce advocate for slavery. At the same time as many slaveholders saw slavery as a “necessary evil,” Calhoun saw slavery as a “positive good,” which further embedded the practice and glorified the owning of slaves in America. Periodic demonstrations and protests have taken place ever since the naming of the undergraduate residential college (the former Yale Divinity School buildings) after Calhoun in 1933. In April of last year, President Salovey decided not to change the name of Calhoun College, convinced that the university should not erase its history but rather acknowledge and learn from it. At the same time, Salovey formed a Committee to Establish Principles for Renaming. According to Salovey, the “Witt” Committee decided to “establish a strong presumption against renaming buildings, ensure respect for our past, and enable thoughtful review of any future requests for change.” At the same time, the Witt Committee outlined four principles that would help Yale decide if a building should be renamed. Does the legacy of the person in question conflict with the mission of the university? Was this person’s legacy a source of conflict during that person’s lifetime? Why did the university choose to honor that person by naming a building after him/her? 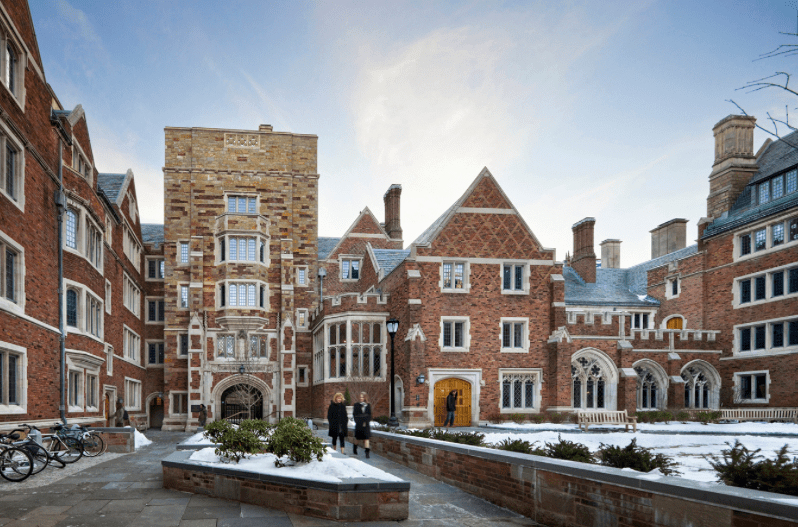 Has the building in question played “a substantial role in forming community at Yale”? With these four guidelines in place, President Salovey reversed his decision not to rename the building. Part of his reasoning was that John C. Calhoun championed slavery and became famous not despite his racist views but because of them. At the same time, Salovey said that symbols of Calhoun will still remain in other parts of the campus, and a plan will be developed to ensure that Calhoun will be remembered for having been a residential college name for eighty-six years. Hopper worked on the first large-scale digital computer, the Mark I, and has been called the “queen of code” and the “mother of computing.” The early computer she worked on had 750,000 parts and was eight feet high, eight feet deep, and fifty-one feet long. In 1951 Hopper discovered the first computer “bug,” which was an actual moth inside the computer! As if that wasn’t enough, Hopper served in the Navy, helping to create uniformity in computer languages and achieving the rank of rear admiral at age 82. When she retired from the Navy for the second time in 1986, Hopper was our nation’s oldest active duty officer. The Navy named a destroyer and a Naval Academy hall after her. 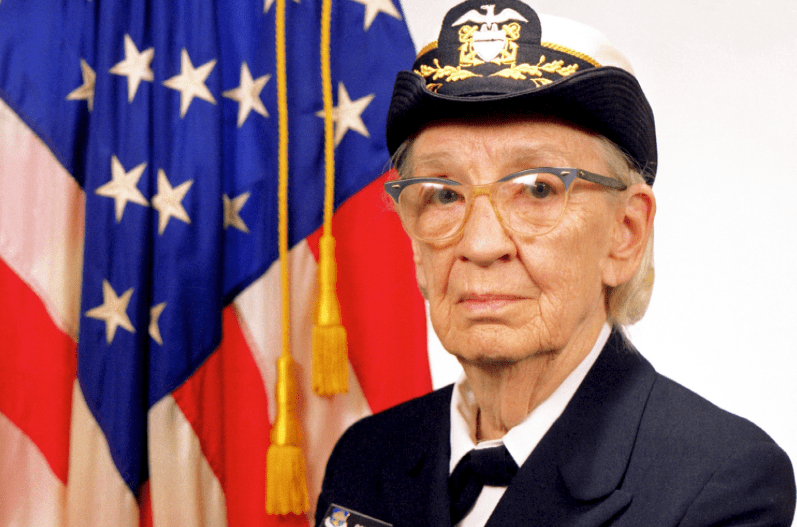 Last November President Barack Obama awarded Grace Hopper a posthumous Presidential Medal of Freedom, the country’s highest civilian honor. “If Wright is flight and Edison is light, then Hopper is code,” Obama said during the ceremony. Not only is the renaming of Calhoun College an interesting story, but it has much to teach us about adaptive leadership in a rapidly changing world. Yale President Peter Salovey listened. Even after deciding last year not to rename the building, he kept the lines of communication open and encouraged students on both sides of the issue to make their voices heard. How are your congregation’s listening skills? It’s not always easy to go back on a decision that you previously made. In this case, Salovey’s desire not to bury or deny Yale’s history around slavery led to his original decision to keep the Calhoun name. However, it was Salovey’s continued encouragement of dialogue as well as the findings of the committee that prompted him to rethink his prior decision. Of course, it didn’t hurt that one of Grace Hopper’s most popular quotes was, “Humans are allergic to change. They love to say, ‘We’ve always done it this way.’ I try to fight that.” This is a different world than 1933, when the building was first name after Calhoun. All things must change. Can your church muster up the courage to change, when appropriate? Yale’s mission statement provided the foundation for the Witt Committee’s discussion around a possible name change. Promoting the legacy of a white supremacist and the legacy of “Improving the world today and for future generations…and educating aspiring leaders worldwide who serve all sectors of society” simply did not align. How well do your congregation’s decisions and practices align with your mission and vision statements, core values, and strategic priorities? Critics of removing Calhoun’s name from the college claim that we should not judge people who lived two hundred years ago by today’s standards. It’s a fair and complicated question. The Committee to Establish Principles for Renaming put together a thoughtful process with principles to guide decision-making, yet many people are still divided over the issue. Some want all vestiges of Calhoun to be gone because they are signs of institutional racism that have no place on a college campus. 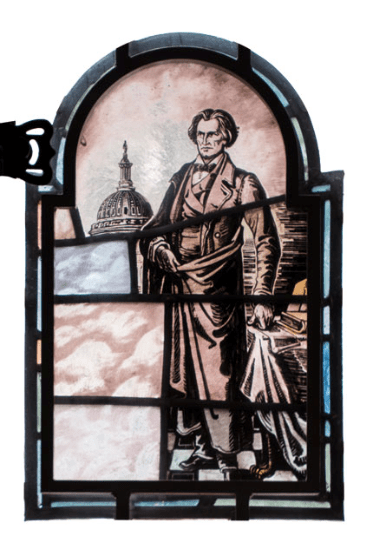 For more than fifty years, a stained glass window in the common room of Calhoun College depicted a black man in shackles kneeling before John C. Calhoun. The image of the slave was removed in the late 1980’s through the efforts of Chris Rabb, co-founder of the Yale Black Alumni Network. Even though Rabb felt offended by the window, some have wondered if these vestiges of slavery can be teachable moments. When students and visitors walk by these disturbing images, might they at least spark questions and provoke honest conversations about race that we so desperately need today? Regardless of where students and others stand on the name change from John C. Calhoun College to Grace Murray Hopper College, kudos to Yale University during this Black History Month for not being allergic to change. How about your church? Your example of John C. Calhoun and Yale reminds me of an hypocrisy at Columbia U. My sister is a professor in the School of Journalism which was founded and funded by Joseph Pulitzer and is where a group meets annually in a well-worn unpretentious room to decide on Pulitzer prizes. The outside of the building has ‘Journalism’ carved in the stone facade across the top. Some buildings of similar architecture have people’s names carved. Some, like ‘Journalism’, just have the subject taught inside. My sister told me that the buildings with no names were funded by Jewish philanthropists and the school wouldn’t name buildings after them because they were Jewish. Amazing. We become conditioned to discrimination and bias without realizing it. Unlike some who give on the condition buildings are named after them, these people gave knowing they were not respected as equals with other donors to that great and expensive school. I wonder if the time has come to set that record straight there as well. Certainly this is another example that higher education is not the mark of a compassionate heart. continuing to identify myself as a Methodist when we can’t come to grips with this issue nationally. Hopefully you may be able to bring some pressure to bear in your new position. Hope all goes well with that. Your writing delights, even as it makes for a glaring mirror of conscience.